Couldn’t have said it better myself, this is a great blog for people to read! Why should we care to advocate for agriculture and the rural way of life? I know this video is a promotion for Colorado Farm Bureau, but the folks with the Young Farmers and Ranchers group have a pretty good statement to make. This here is my new presume feel free to take a look and contact me if you like what you see! Also if you like this feel free to make one of your own or to share mine, after all the more this gets out there the more people will see it! Many of you know that this blog has been created as part of a assignment for a public relations class in my ag communications minor. Through this blog I have learned what a blog really is. I used to think that blogs were for girls that liked to gossip or talk a lot, however I now see that they are a important part of the social media triangle. They can gain attraction to your business, purpose, or subject in ways that many other types of social media can’t. This blog is my personal blog and now that the class is over this blog will probably fade out. I don’t want to delete it and I plan to still post regularly however I will now be running a different blog that has a much more defined purpose. My new blog will be logging stories about my involvement in Missouri State University specifically in Alpha Gamma Sigma Fraternity. For my followers that wish to keep hearing from me I highly suggest following that blog also. True to my style this new blog is titled Words from an Ag Sig. My friend has already made a observation that the wandering man has found his place in Ag Sig and I hope this is true. Below I have posted a link to my new blog to make me easier to find. Sometimes this world really does frighten me on where our society is going. I am definitely not the most christian man by far but I know who I am and I am not a bad man. However some of Paul Harvey’s points that I can clearly see as a potential step downwards are applicable to myself. And this makes me scared cause we are all susceptible to society’s ways even if it is just a texting addiction. 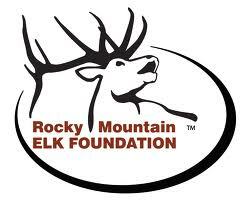 I know I have already published a bit about my involvement with the Rocky Mountain Elk Foundation but I stumbled upon this video and it really pumped me up! For those of you that don’t know me I am very professionally minded which is why I was a bigger player in FFA and DECA in high school and why I am a good member of Alpha Gamma Sigma here in college. So to be a person’s portfolio especially the resume is very important to me so I did some research on some creative ways to create our own online resumes and made this prezi to share what I learned! 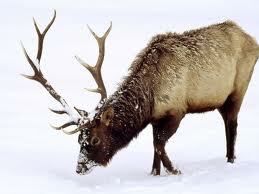 Ever since I was about five years old my parents took me to local Rocky Mountain Elk Foundation banquets. I never really understood what it was all about or anything but I loved to put my tickets into the raffles and try to win something usually a knife. But as I grew older and I myself started hunting I quickly caught on to the importance of these events. All the money raised at these banquets goes to restoring and preserving our American wildlife. The Rocky Mountain Elk Foundation is one of the oldest conservation organizations in the United States and has pioneered the art of rehabilitating wildlife to areas where they have been depleted. They have now successfully reintroduced elk to Kentucky, Virginia, and Arkansas and are now in the process of establishing elk here in Missouri. Not only am I a proud member of this organization but their banquets have become a family tradition that has brought me untold joy. Not only has my family ties strengthened but I have to say that I have won my share of the raffles. So now that I am old enough to start doing things on my own I have decided to give back to this organization by volunteering my time and services. 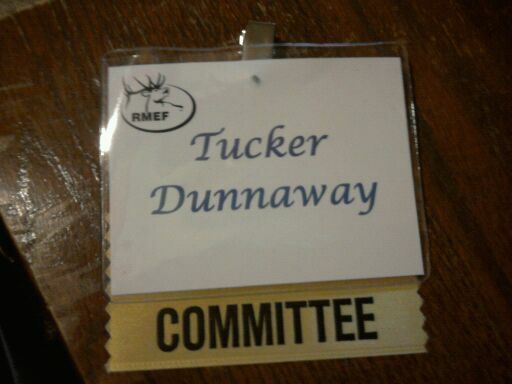 I am now proud to have served my first Rocky Mountain Elk Foundation banquet as a committee member. I got to help run some of my favorite raffles and help with the live auction. This year’s banquet has been one of the best banquets that I can remember. I think with this organization I have unlocked a lifelong passion and cannot wait to see what we will accomplish together in the future. Down home country boy doing my thing as I wander through the worlds of Agriculture, Conservation, and Tumbl'n T Leather. My credence. My life. My story. This is a blog about my summer internship at a 3,300 acre ranch that is being donated to Missouri State University. My life as an irregular, non-conforming agvocate.